A Challenger-Driven New AC Class? No, you can’t park it in your driveway yet, but the 19 designers who met today in Valencia put rubber on the road toward a decision on what kind of boat we’ll be racing in America’s Cup 34, monohull or multihull. Beyond the tradeoffs, priorities and passions that might pop up in any barside conversation anywhere, these people were concerned with matters such as the ease of shipping these new boats—plug and play keel technology would be welcomed by the monohull set—and how to make the racing and the boats television-friendly. Yes, the likes of Juan Kouyoumdjian, Marcelino Botin, Patrick Shaughnessy, Mani Frers, and Rolf Vrolijk engaged in discussions of boom height, gunnel height, and deck height, all with cameras and camera angles in mind. This is, ah, not trivial. 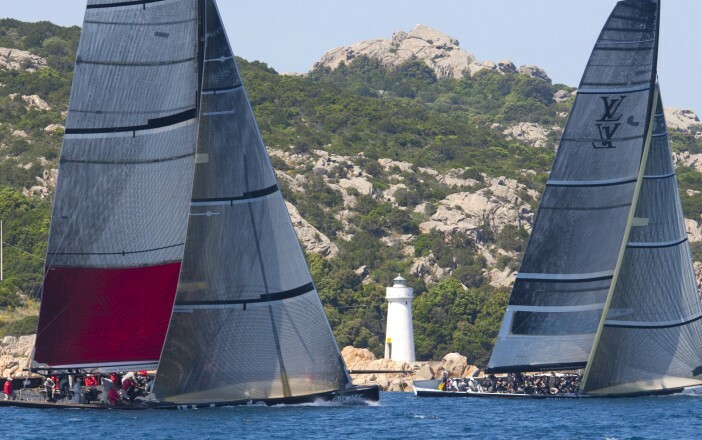 World Sailing Teams Association is WSTA, the usual-suspects challengers plus Louis Vuitton, which is to say the folks now gathered at breezy La Maddalena for Louis Vuitton Trophy racing that begins on Saturday. Larry Ellison may be trying to give the America’s Cup a 21st-century restructuring, but this seems a clear offer to maintain the historic and fundamental challenger-driven character of the event. It is also a reminder of events post-1988 (post Big Boat/catamaran debacle) when the players sat down, analyzed the situation, and developed the class of boat that served Cup matches 1992-2007 and is still on the water at La Maddalena. A significant step was taken towards creating the next America’s Cup boat when 19 designers met in Valencia. Central to the deliberations was whether to develop a monohull or a multihull for the 34th America’s Cup. The conference was held at the home base of BMW ORACLE Racing during its successful 33rd America’s Cup campaign. 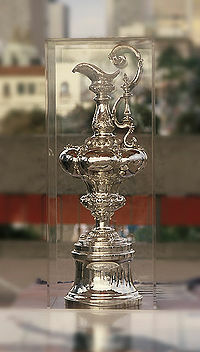 “The teams want a new boat; the fans deserve one too,” commented Russell Coutts, four time winner of the America’s Cup. “It will not be a ‘defender’s boat’. It will be the product of genuine discussion and dialogue,” Coutts added. The Valencia meetings were chaired by BMW ORACLE Racing’s design coordinator, Ian Burns. Around the table was a ‘who’s who’ of yacht design: 10 nationalities were represented, with winning records in every level rating class from Quarter Tonners to TP52s as well as the Volvo Ocean Race, Jules Verne Trophy, classic races such as the Fastnet and Sydney-Hobart and, the America’s Cup. The new concepts were conceived by eminent designers Bruce Nelson and Morelli/Melvin, creators of previous America’s Cup winning yachts. “The America’s Cup is the pinnacle of our sport, so the boats should be physically demanding to race well and produce fast, competitive racing to engage new fans,” said Burns.